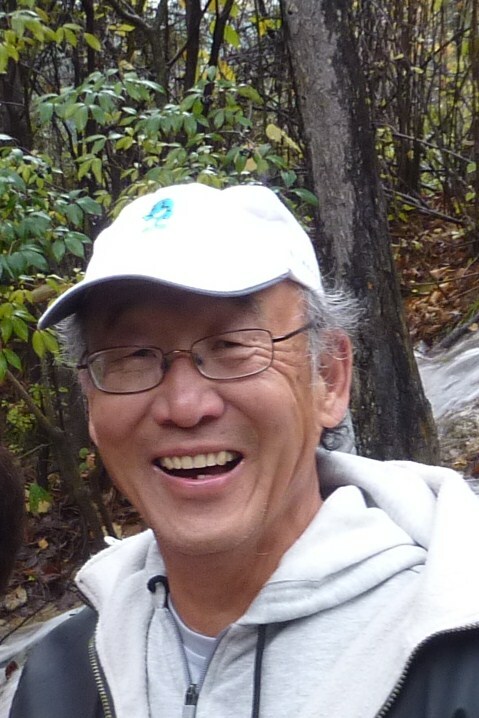 President-elect Barack Obama’s appointment of Steven Chu as Energy Secretary reaffirms his commitment to change our national energy policy and make the development of alternative energy sources a top priority. Since taking over the leadership of Lawrence Laboratory, the Nobel laureate physicist Chu has been busy promoting the need to combat global warming by shifting away from dependence on fossil fuel. His laboratory has become an active center of research on alternative energy. He has been prominent in various local and national forums stressing the urgent nature of global warming. Chu has the technical expertise, personal charisma and passion to help Obama change the way we consume energy and heat up the atmosphere. Obama’s decision not to select a Washington insider, but someone with a firm grasp of the relevant technological issues, suggests that he is serious about finding the right person to deal with the threat of global warming. To even remotely suggest that the appointment of Chu is in some way a response to the growing objection to incoming Commerce Secretary Bill Richardson – who was Secretary of Energy during the Wen Ho Lee case – is to discredit Obama’s intention to recruit the best and most qualified, not to mention discounting Chu’s sterling credentials. Certainly, Richardson’s credentials could also be considered those of a heavyweight – except, ironically, for his record as the Energy Secretary under the Clinton administration. In late 1998 and early 1999, right-wing opponents were attacking Bill Clinton from multiple fronts, including the accusation that military secrets were being leaked to China. To relieve the pressure of these attacks, Richardson made Wen Ho Lee, then employed at the Los Alamos Laboratory, a convenient scapegoat. He fired Dr. Lee two days after an article from the New York Times indicated that secrets had been leaked from Los Alamos. The presiding judge apologized to Lee. The New York Times and other major members of the media published mea culpas. Even the FBI admitted falsifying evidence against Lee. Only Richardson to this day will not admit that he had done anything wrong. His inability to admit a mistake and apologize continues to be a heavy blot on his credentials. The appointment of Chu should be a welcomed fresh breeze to erase the stench of a past national disgrace. As a native-born American, Chu presumably will not be subject to racial profiling. By serving as the director of an agency that less than a decade ago was so riddled with racial bias is to indicate that the Obama administration truly signifies a new beginning. With an Asian American serving as the energy czar, national laboratories should begin to see increasing numbers of Asian Americans with a renewed interest in working there. It has been no secret that scientists and engineers of Asian ancestry represent one of our most valuable national resources. This commentary first appeared in New America Media. Dr. Robert Vrooman was the counterintelligence director at Los Alamos National Laboratory who fiercely objected WHL's arrest. Vrooman himself was reprimanded by Bill Richardson for continuing to oppose the charges and actions against WHL. He supported the campaign to free WHL through many speeches and the media. See his statement opposing Richardson's appointment in the Obama administration. You have some of your "facts" incorrect; or, at the very least, spun to the point of inaccuracy. Wen Ho Lee did possess classified documents outside the scope of his work. Wen Ho Lee did download those documents and remove them from the workplace. Wen Ho Lee did photocopy those documents. The other counts in the indictment were not "thrown out"; they were dismissed in exchange for his plea of guilty in a plea bargain. Had Wen Ho Lee chose to go to trial, he would have faced all 59 counts. Wen Ho Lee was mistreated in confinement, and Bill Richardson has said that was a disgrace; but, Bill Richardson did not confine him; Bill Richardson did not arrest him; Bill Richardson did not mistreat him in confinement. That was the FBI and the US Marshal's. All Bill Richardson did was review the facts of Wen Ho Lee's security clearance violations (above) and terminate his employment based on those violations (he actually removed his security classification, which was a prerequisite for the job - well under the authority of the Secretary of Energy). Wen Ho Lee pleaded guilty in federal court; when he did, Wen Ho Lee told the Judge he was pleading guilty because he was guilty, and for no other reason. Was he lying? The fact is, Richardson would have taken the same action regardless of the heritage or ancestry of the person involved. Mr. David also overlooked certain inconvenient facts. When R fired WHL, he did not know at the time about the illegal downloading, merely that the FBI has been tapping WHL's telephone. As for WHL's actual offense, the author pointed out the unequal treatment before the law by comparing the slap on the wrist with no jail time for John Deutsch. After 9 months of solitary confinement in chain, his attorneys advised WHL to cop the plea and get out of jail. By any standards, it was a traversty of American justice. The facts remain that he was ultimately innocent and the judge preceding over his cause apologized for the abuse of federal authority, and the federal government with the New York Times agreed to pay him almost a million dollars for his suffering. I think Bill Richardson himself regrets for his actions. In his heart, he probably felt terrible when everyone realized they acted in without ration like the internment of Japanese Americans in WWII. The facts also remains that his colleagues were willing to put up their house for him because they knew him was innocent. Now, lets act with some decency and act like real Americans.